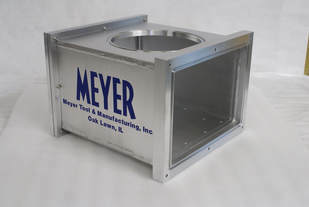 Custom Vacuum Products | Meyer Tool & Manufacturing - Meyer Tool & Mfg. ​We have been designing and fabricating custom ultra high vacuum chambers for a wide variety of industries and applications since 1969. 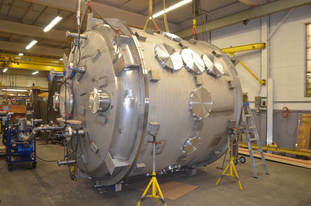 We have experience fabricating both Aluminum and Stainless Steel Vacuum Chambers. 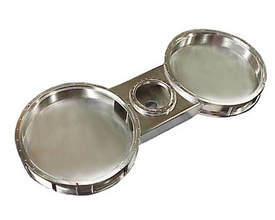 We commonly manufacture chambers that perform at pressures as low as 10^-10 Torr. We also have documented cleaning and handling procedures for more stringent vacuum requirements. We specialize in custom or prototype vacuum chamber projects. Our engineering staff can help you optimize your design and determine the most efficient and cost effective fabrication plan. Once a prototype is proven out we will integrate the lessons learned into large scale vacuum chamber production runs. ​We are also capable of running larger volume custom vacuum chamber production runs when a prototype phase is not required. 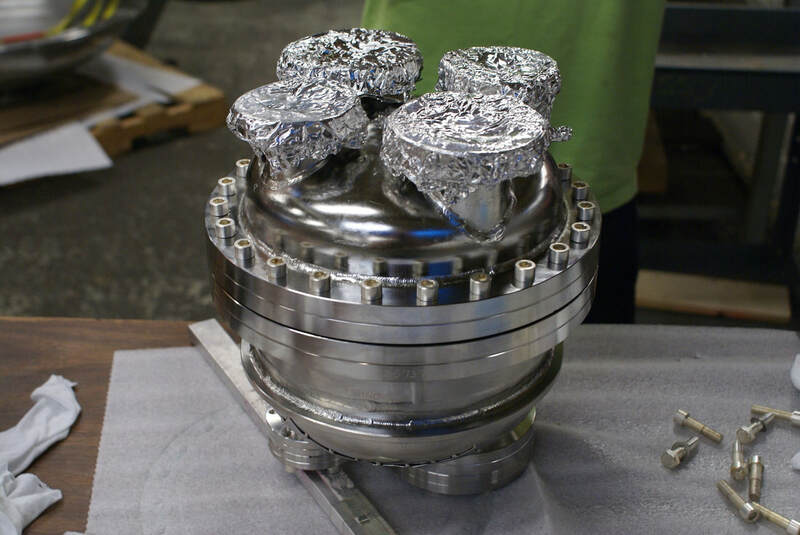 We have experience designing vacuum chambers and components for a wide variety of applications. A large portion of the products that we make are put to use within particle accelerators. There are many other customers and industries that utilize vacuum related products. We have made chambers and components for deep space telescopes, semiconductor process equipment, solar cell process equipment, lab grown diamond manufacturing, and aerospace applications. There are many variables that go into the design of a vacuum service product. Our engineering staff can walk you through the design process to ensure that your final product specifications will be met. We can custom engineer a chamber to meet your specific needs or we can work with you to finalize a design that you already have started. We troubleshoot challenging fabrication problems. Combination pressure and vacuum chambers have a number of different uses including applications in the medical and semiconductor process industries. These types of vessels are unique in that they have to stand up to both high pressure and low vacuum pressure conditions. Occasionally, there are also heating elements that are integrated into these types of chambers. Combination chambers will have stronger welds compared to a typical vacuum service only chamber. The fact that both pressure and vacuum will be applied to the chamber will affect the types of flanges and ports that are utilized in the design.